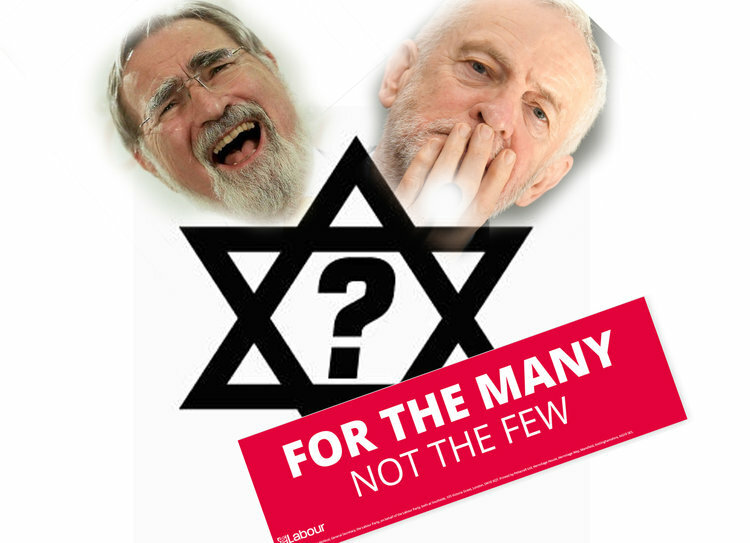 In order to grasp Rabbi Sacks’ recent outburst we may have to appeal once again to the famous French psychoanalyst Jacques Lacan’s astute observation:“unconscious is the discourse of the Other.” The unconscious, according to Lacan, is the fear that the Other, in this case, the gentile, the humanist or shall we say Corbyn and the Brits see you truly. It is the tormenting thought that the Goy may be able to detect the lie. It is the unbearable anxiety that the Brits know that British Zionists aren’t exactly Brits, they are deeply devoted to another state and its foreign interests, they never assimilated and do not plan to assimilate in the near future. The Lacanian unconscious is the fear that a Goy may stand up one day and decide to call a spade a spade or, way more a disturbing, refer to a celebrity ex-chief rabbi as a “far right extremist,” as Trade Union activist Eddie Dempsey suggests in the video below.